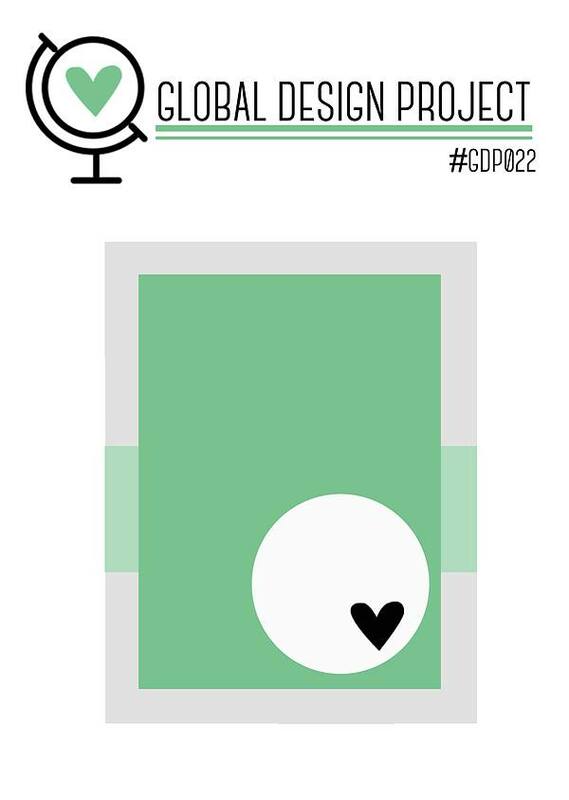 After a really busy weekend (some time spent at the Emergency Ward, etc) I am happy to take part in this week's Global Design Projects challenge! I made it! This week is a sketch challenge and I loved it! I made this card to celebrate the birthday of a wonderful lady (and excellent card maker!). Now I have to apologize in advance for my photos - I normally make use of the natural day light... today I missed it! The pretty Rose Red bow is from the Love Blossoms Embellishment Kit (I removed the paperclip). Look at those Enamel Glitter Dots sparkle! They are also from the Love Blossoms Embellishment Kit. I have mentioned so many times, but the Current Occasions from Stampin' Up!is the best I have ever seen and the same goes for the current Sale-a Bration Flyer. Both the Botanical Gardens Designer Vellum Stack and the Sky is the Limit stamp set can be earned for FREE with a qualifying order($90.00 in Australia)!The last day to earn the Sky is the Limit set is 15 February 2016! I simply adore the Birthday Bouquet Designer Series Paper and the Number of Years stamp set. They really work for me! I stamped off both the Old Olive and the Rose Red Before i stamped the leaves and blossom onto Whisper White cardstock. Another really good purchase is the Love Blossoms Embellishment Kit... Pretty is an understatement! Don't miss out - contact me ASAP if you want to earn some FREE goodies! This coming week I will be making the rest of the invites for my little Missy's birthday as well as tags to go with the Bubble Wands she will be handing out in the class on Friday. She will celebrate with a belated party in a few weeks time! Well take care fellow card makers! Please let me know what you think! I love how you've stamped this background. Beautiful! The bow is a perfect accent. Thank you so much for playing along with this week's Global Design Project Sketch Challenge!